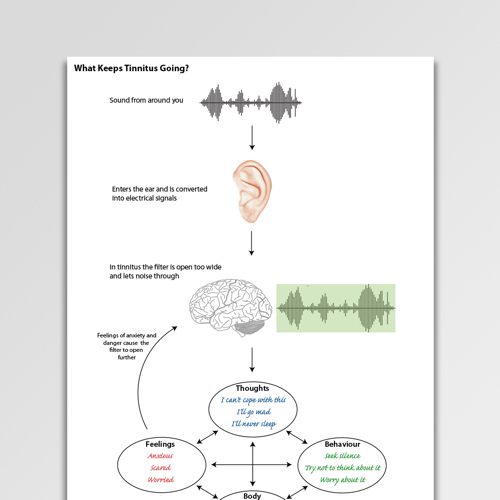 What Keeps Tinnitus Going? 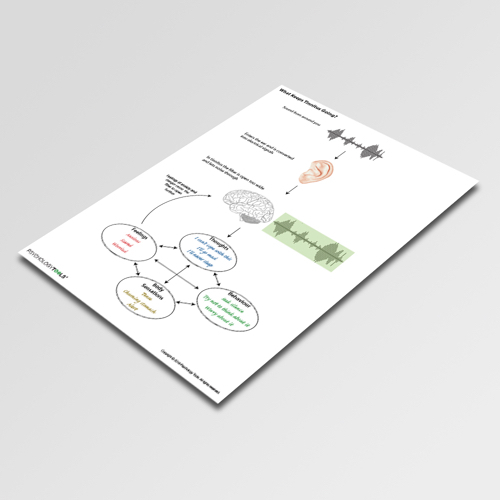 is a tinnitus formulation diagram which combines information about neurological-level change (the brain’s ‘filter’) and psychological-level change (thoughts, feelings, and behaviour) to come to an understanding of why tinnitus often fails to improve. What Keeps Tinnitus Going? 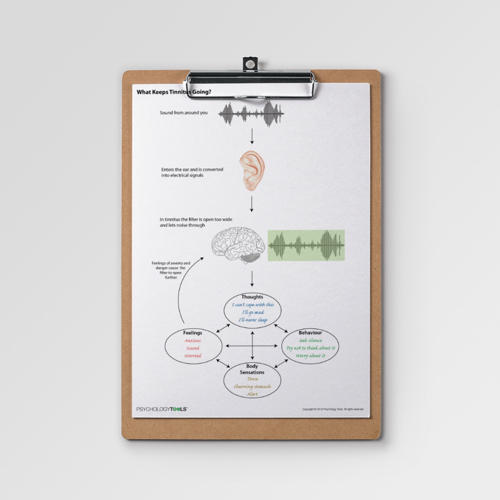 is a tinnitus formulation diagram which combines information about neurological-level change (the brain’s ‘filter’) and psychological-level change (thoughts, feelings, and behavior). It describes how changes in the brain’s auditory ‘filter’ can lead to the experience of tinnitus, and how emotional arousal acts to maintain the changes in how the filter operates.